Leith Anderson is President of the National Association of Evangelicals (NAE) headquartered in Washington, DC, holding this office from 2001 to 2002 and again from 2006 to the present. David S. Bell is Senior Design Partner with Design Group International. He is also an adjunct instructor at United Theological Seminary and currently serves as President and Executive Director with The United Methodist Foundation of Michigan. Matt Bloom, PhD, is a professor at the Mendoza College of Business at the University of Notre Dame. He is Principal Investigator of the Flourishing in Ministry and Wellbeing at Work research projects, which focus on the wellbeing of helping and caring professions. Iva E. Carruthers is a founding trustee and General Secretary of the Samuel DeWitt Proctor Conference (SDPC), an interdenominational organization within the African American faith tradition focused on social justice issues. Chris Coble is Vice President for Religion at Lilly Endowment Inc. He was elected to that position in December 2012, having served the Endowment as a program officer in its religion division for sixteen years. Peter Dunn a.k.a. Pete the Planner® is an award-winning comedian and an award-winning financial mind. He’s a USA TODAY columnist and the author of ten books. Richard “Rick” Foss, the director of the coordination program for Lilly Endowment's National Initiative to Address Economic Challenges Facing Pastoral Leaders, served as the interim president of Luther Seminary from December 2012 – May 2014. Brad Hewitt recently retired as Chief Executive Officer of Thrivent Financial, the country’s largest fraternal benefit society. A Fortune 500 organization, Thrivent is leading a nationwide movement of Christians to be wise with money and live generously. James Hudnut-Beumler is the Anne Potter Wilson Distinguished Professor of American Religious History at Vanderbilt University. He served as Dean of Vanderbilt’s Divinity School from 2000 until 2013. John Kinney has devoted himself to the pursuit of excellence in theological training and ministerial preparation and has distinguished himself as a systematic theologian, academician and administrator in a career that spans more than 40 years, including 27 years of service to Virginia Union University as the Dean of the Samuel DeWitt Proctor School of Theology and Senior Vice President of the university. Mark Labberton, president of Fuller Seminary, brings to his leadership a deep awareness of the urgency of the gospel of Jesus Christ—and a passion for the vital role that Fuller Seminary plays in the enactment of that gospel. Mark Markuly, PhD, has been Dean and Professor at the School of Theology and Ministry (STM) at Seattle University since 2007. With degrees in three different academic disciplines, he approaches theological education from an interdisciplinary fashion. Molly Marshall is President and Professor of Theology and Spiritual Formation at Central Baptist Theological Seminary. Her great passion in life is preparing women and men for ministry excellence. John Ray, Jr. is Minister of Worship Arts at Light of the World Christian Church in Indianapolis where he oversees ministries with over 200 active volunteer participants. He is also a highly experienced and talented musician. Angela Reed is Associate Professor of Practical Theology and Director of Spiritual Formation at Baylor University’s Truett Seminary. She engages in research and writing on spiritual formation and prayer in congregations with special attention to spiritual guidance relationships. Kerry Robinson is the founding executive director and global ambassador of Leadership Roundtable, dedicated to promoting excellence and best practices in the management, finances and human resource development of the Catholic Church by harnessing the managerial expertise and financial acumen of senior level lay executives. Arne Sorenson is President and Chief Executive Officer of Marriott International, Inc. Following Marriott’s September 2016 acquisition of Starwood Hotels and Resorts, the company now includes more than 6,500 properties across 30 leading hotel brands spanning 127 countries and territories. Cardinal Tobin has served as the Archbishop of Newark since 2016, after he was named to the College of Cardinals by His Holiness Pope Francis and created a Cardinal.The son of the late Joseph W. Tobin and Marie Terese Kerwin, His Eminence, Joseph William Cardinal Tobin was born in Detroit. Emilie M. Townes is the Dean and Carpenter Professor of Womanist Ethics and Society at Vanderbilt University Divinity School, becoming the first African American to serve as Dean of the Divinity School in 2013. She is an American Baptist clergywoman and a native of Durham, North Carolina. Laura Sumner Truax is senior pastor at LaSalle Street Church, a non-denominational church in downtown Chicago with a long tradition of uniting individual faith in Christ with God's call for justice and compassion lived out in the world. Brian Williams is Program Director in the Religion Division of Lilly Endowment Inc. Previously, he served as a pastor in United Methodist congregations in North Carolina and Indiana, most recently at University United Methodist Church in Indianapolis. Starsky D. Wilson is a pastor, philanthropist and activist pursuing God's vision of community marked by justice, peace and love. He is pastor of Saint John's Church (The Beloved Community), President and CEO of Deaconess Foundation and chair of the National Committee for Responsive Philanthropy. John Wimmer is Program Director in the Religion Division of Lilly Endowment Inc. and is responsible for all three of the Endowment’s economic challenges initiatives represented at the Summit. 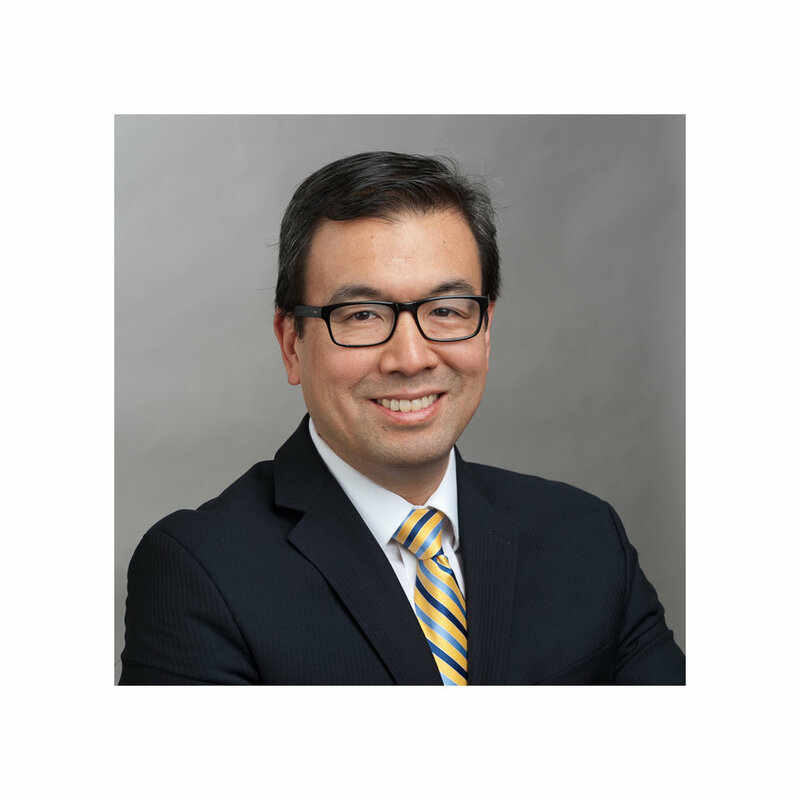 Frank Yamada began as Executive Director of The Association of Theological Schools (ATS) in July 2017. He oversees the work of both the Association and the Commission on Accrediting.